Thomas J. Scotto is Professor of Government and Public Policy at the University of Strathclyde. His research interests lie in the areas of voting behaviour, public opinion and foreign policy, and applied structural equation modelling. Before joining Strathclyde, he was Professor of Government at the University of Essex. He is the author of journal articles appearing in such outlets as Public Opinion Quarterly, The Journal of Politics, International Studies Quarterly and Electoral Studies. 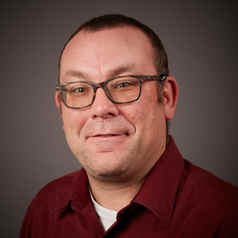 His co-authored book, Making Political Choices: Canada and the United States was published by the University of Toronto Press, and his co-edited volume, The Canadian Election Studies, was recently published by The University of British Columbia Press. His main research project, supported by the ESRC, seeks to understand and measure citizen foreign policy attitudes across six western democracies.